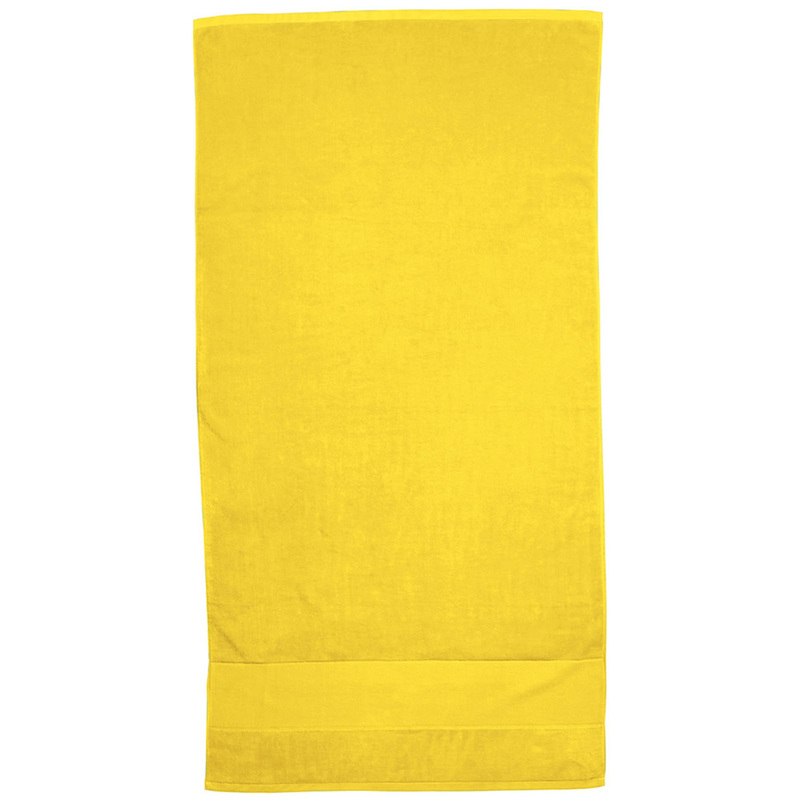 A towel that is soft to the touch and in a wide range of funky colours, these towels spell fun for any occasion! Perfect for beach and outdoor activities! The towel is made from 380gsm terry velour with rapier finish will give you the comfort you need while looking great. 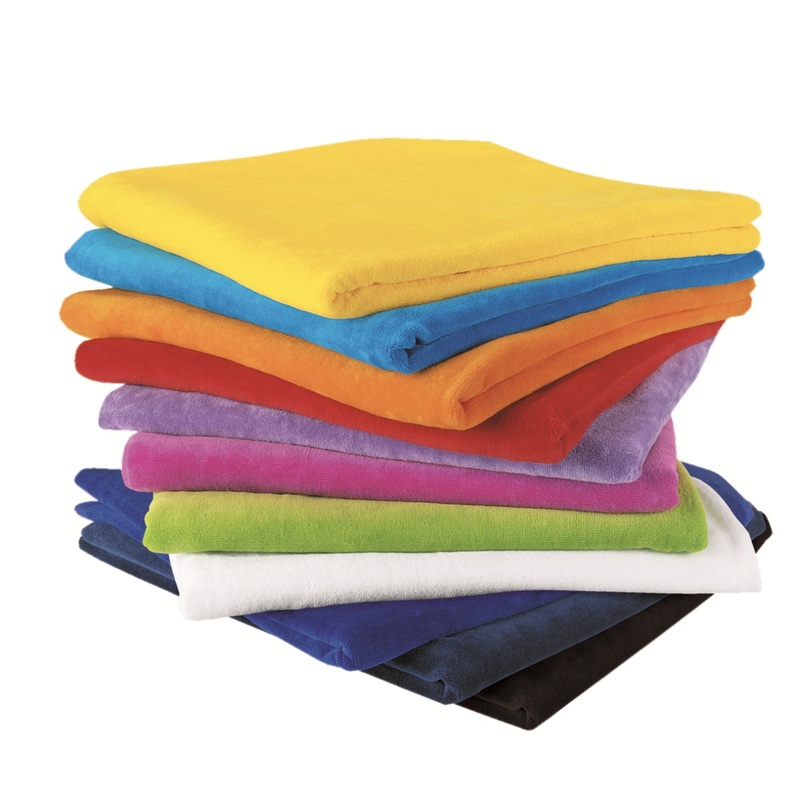 Its soft pile allows for all-over embroidery whilst the lower fret area is perfect for screen-printing or transfer application. Has a large decoration area with a wide range of colours. Cotton border on all sides.